STOP! NO NEED TO LOOK FURTHER! 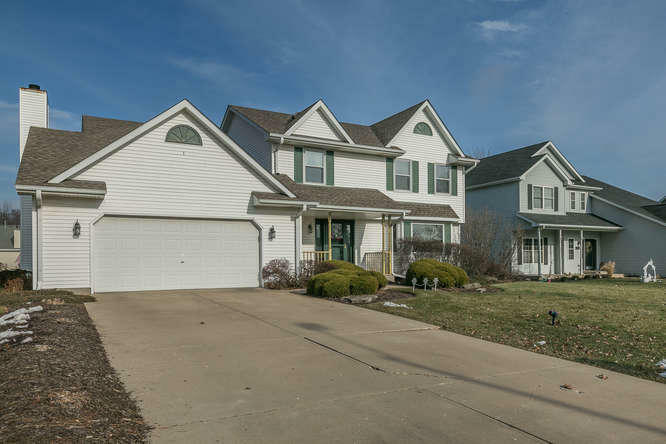 This spacious contemporary home situated in desirable Pleasant Prairie includes SO MUCH! Loads of natural light! 4 bedrooms, 2.5 baths, formal living room & dining room, family room with gas fireplace, hardwood floors, enormous kitchen with large eat in area, breakfast bar, stainless steel appliances, pantry and loads of cabinets! NEW UPDATES: FURNACE (2016) CENTRAL AIR (2016), WATER HEATER (2016), DISPOSAL(2016), ROOF (2010), NEW BLINDS, walk in closet, gigantic rec room and lower level office area! Home is situated on just over a quarter of an acre! NEW posts on front porch, electric fence and newly stained deck! MINUTES TO ILLINOIS!DON'T MISS THE OPPORTUNITY TO OWN THIS FABULOUS HOME!